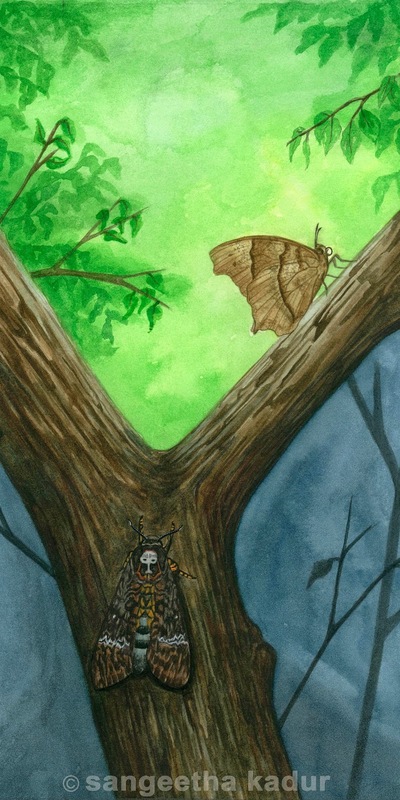 One oppurtunity followed the other, and i ended up illustrating a small series of butterfly works over the last 2 years. The first of the works started with a project for ATREE (Ashoka Trust for Research in Ecology and the Environment) which was working in collaboration with WIPRO, to set up a butterfly garden at their electronic city campus, Bangalore. It was a prodigious project and i contributed a small bit to it. I illustrated some butterfly paintings for their brochure 'I see butterflies'. Thank you Ramya Ravi for pulling me on board and the entire team at ATREE for your interest, enthusiasm and support. The recent butterfly project was for the forest department of SGNP (Sanjay Gandhi National Park) who put together a small pocket-sized butterfly guide, 'Butterflying in SGNP', which is available for purchase at their counter. This booklet is a lovely coalition of illustrations and butterfly ID photographs. Happy to have been a part of this effort and to have worked with Shardul Bajikar who was heading this project. Coverpage illustration for the brochure of ATREE - WIPRO butterfly project. catterpillars / larvae , the crysalis / pupa and a active during day and dusk. Very nice. The common butterflies of Bangalore is very useful. Is it available as a poster somewhere? 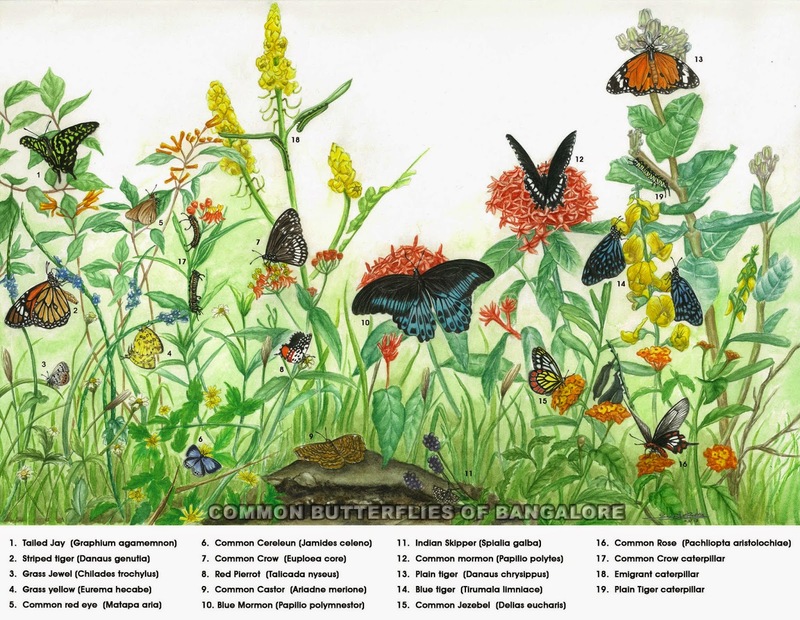 People have asked before, but can I buy a print of the butterflies of Bangalore somewhere? It is so beautiful!